Today we were back at the Woodland Trust’s Spud Wood. 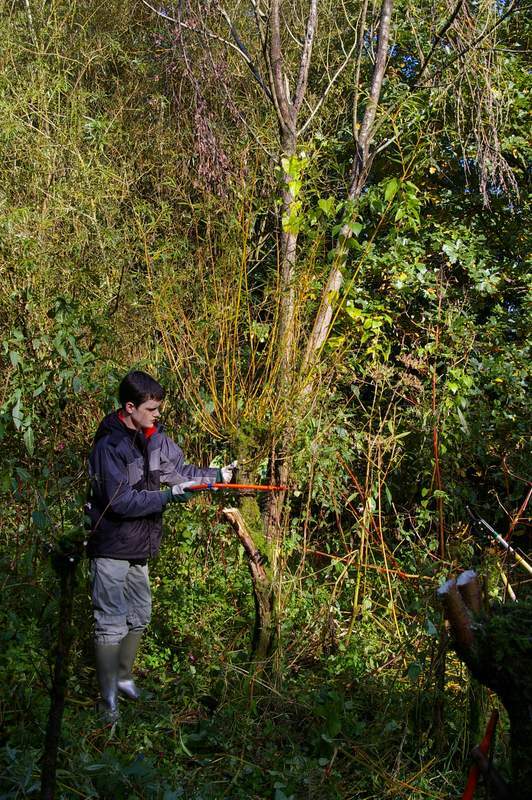 The weather wasn’t as kind as during our visit in January, shifting from hail to bright sunshine and back again, but nonetheless we made some good progress with the coppicing of hazel and some other woodland thinning. We put the possible hedgelaying on hold for today, although we might yet make a start on it when back on 18th March. Thanks again to the Friends of Spud Wood for the welcome and for fortifying us with home-made cake! Spud Wood – great start to 2018! 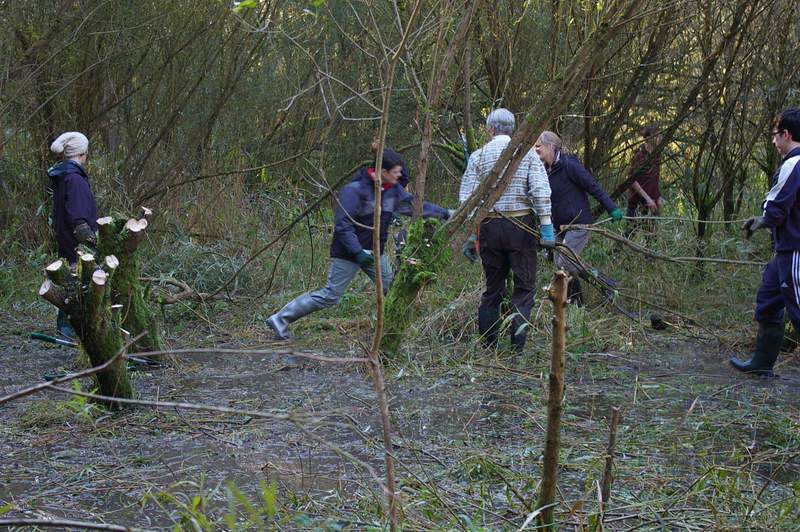 Thanks to all who came out today to help with coppicing work at Spud Wood, a Woodland Trust site. A great start to 2018 – a good turn-out from SACV, a warm welcome from Friends of Spud Wood, lovely sunshine, an excellent site – and homemade cake! Here’s to more days like this for the rest of the year. Today was SACV’s last activity of 2016, and we were out at a new site for us: the Woodland Trust’s Spud Wood in Oughtrington, near Lymm. 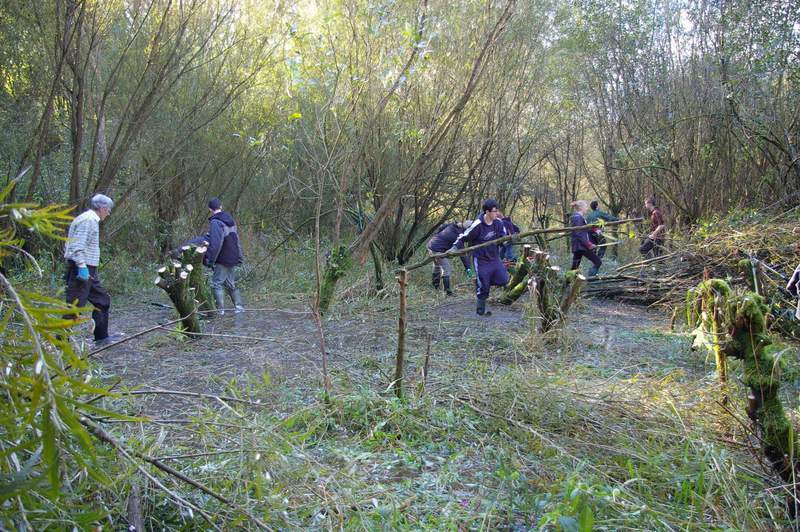 We were working with the Friends of Spud Wood to help with some coppicing; the cut material will be used in crafts or was left in habitat piles. A fine final task for 2016, and we concluded our day with our usual annual seasonal get-together. A brazier, roasted chestnuts, mince pies and plenty more besides. Cheers! 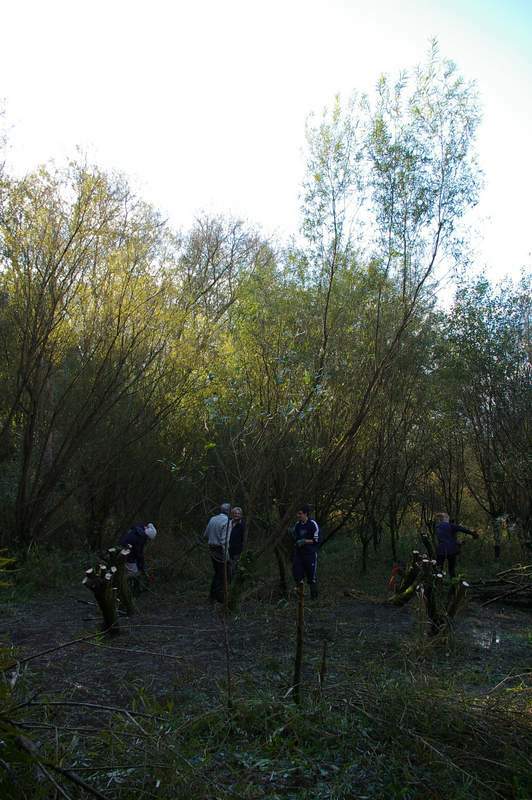 In today’s lovely autumn weather, SACV volunteers worked for the Mersey Valley Wardens at Sale Water Park in the willow coppice. 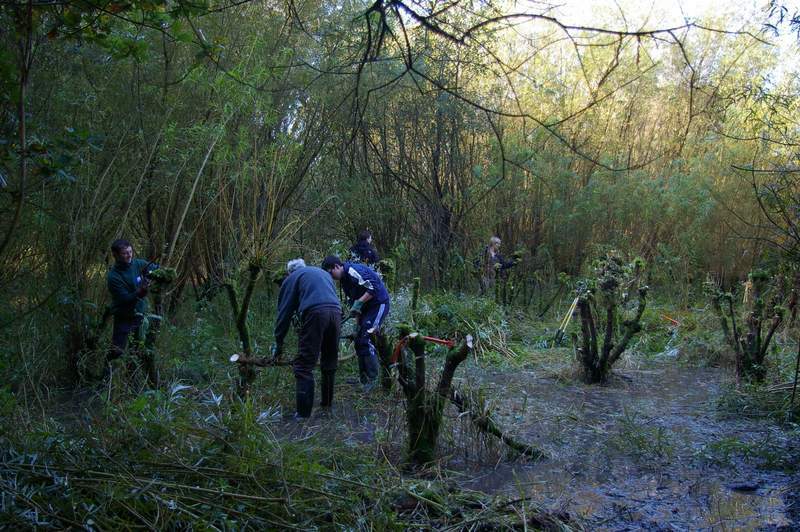 The willow here had not been coppiced for some time, but after a few hours’ work we had made a lot of progress: the space was a lot clearer, the brightness of the lovely October day was breaking through, and the willow is ready for sprouting again! All being well a good local use will be found for the cut material.